“Puzzle.” The aptly named fourth album, saw the band find that final piece and reach the commercial success their talent warrants in 2007. This was the album that brought them into the collective consciousness of the nation. It allowed their long-serving fans the opportunity to proudly talk about their knowledge of previous albums, boast of how long they had been fans for and brag about how many times they had seen them play live in small and intimate venues. The problem with your favourite lesser-known band suddenly becoming popular, however, is that the songs are now everywhere. They get over-played on radio. People not nearly cool enough begin to express their interest in the band. They start to play larger venues. And tickets are sold out before you get a chance to buy them. Basically, it’s a nightmare. Fortunately or unfortunately, depending on your stance, this album achieved all it deserved. The album is brilliant and the songs are instantly accessible to new fans while being Biffy enough to please existing ones. Written in the wake of singer Neil’s mother’s death, the lyrics are so blatantly obvious about love and loss and coming to terms with death that it could easily have sounded cheap and cheesy had it come from almost anyone else. But Neil accomplishes it with style, passion, integrity and apparent ease. The band simultaneously showed their heart while flexing their muscles through their biggest sound to date. For any prospective Biffy Clyro fans, this is the place to start. Whether you choose to move on from “Puzzle” forward or backward chronologically is up to you. Forward means commercially more successful tracks with slightly more catchy choruses. Backwards means musical strangeness that will keep you coming back for more. Start with track 1; “Living is a Problem Because Everything Dies”, and keep going. I then had a small fall out with Biffy over 2009’s “Only Revolutions”. I felt that it was too soft, too ‘mainstream’ and lacking of that classic Biffy twisting-turning song structure which caught my attention at the start. And then, after a bit of a break, I listened to it properly. It is still not my favourite Biffy album, but it has some great songs that showed Biffy Clyro’s growth into their new success. Tracks: “Mountains”, “Bubbles”, “Many of Horror”. January 2013 saw the release of their most recent offering, the 2-disc “Opposites”. On this album, the band look to have found the formula that balances the technical skill and musical interestingness of early Biffy with the mainstream appeal of latter day Biff. There are songs with heavy distortion and wild vocals, and others with clean guitars, harmonies and beautiful melodies. And then there are tracks with touches of both. They seem to have delved deeper into the realm of heavy guitars and sweet, sweet melodies working together. 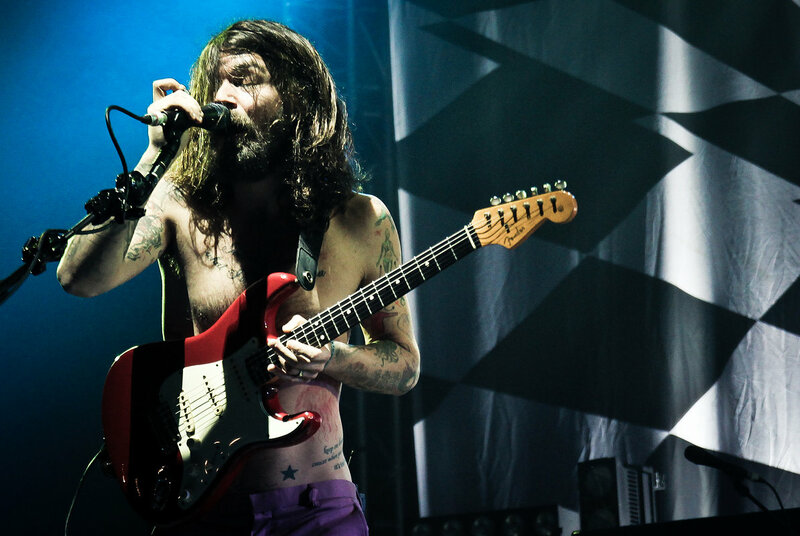 Biffy Clyro continue to grow as stars and musicians both. They have put in the time and are now reaping the benefits. And rightly so. Tracks: “The Joke’s On Us”, “Victory over the Sun”, “Black Chandelier”. However far they have come up to this point, the recent announcement that they will be headlining the UK’s Reading Festival Main Stage this August has left some questioning their worthiness of this Sunday slot usually reserved for legends of the industry (previous performers include Pearl Jam, Muse and Metallica). So dedicate your ears to the mighty Biff, spend some time getting to know them and make up your mind for yourself.